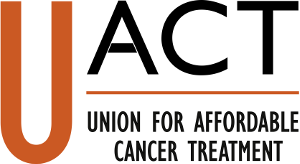 On March 12, 2018, UACT joined 15 other organizations in the United States and Korea in a letter to the United States Trade Representative, urging the administration to ignore the wishes of pharmaceutical lobbyists and to not interfere with patient access to medicines in Korea. Recently, Korea has passed legislation aimed at lowering drug prices and increasing the government’s negotiating power. Pharmaceutical corporations have taken notice, and through the industry lobbyist group PhRMA (Pharmaceutical Research and Manufacturers of America), have pressured the U.S. government to retaliate against the country in trade negotiations. In its submission to the USTR’s yearly “Special 301” review of intellectual property protection in other countries, PhRMA lambasted Korea’s pricing and reimbursement policies as discriminatory, and claimed that intellectual property protection requirements under the US-Korea free trade agreement, KORUS, were being undermined and inadequately enforced. PhRMA’s numerous references to KORUS are troubling, as the United States and Korea are currently in the process of renegotiating the agreement. Our letter to USTR explains that there are already many TRIPS-plus requirements in KORUS which constrain access to medicines, and which are in conflict with the human rights obligations of both Korea and the United States. We urge the USTR to ignore PhRMA’s requests that Korea be added to the USTR’s “Priority Foreign Country” list, the most serious designation in the Special 301 Review, and to reject any proposed changes to KORUS that would further infringe upon patients’ access to medicine in either country.